In a letter sent to the mayor and City Council, Thomas E. Thomas did not include a reason for his resignation, but he did offer to continue working through May 31. Councilors are scheduled to vote on his contract on April 9. 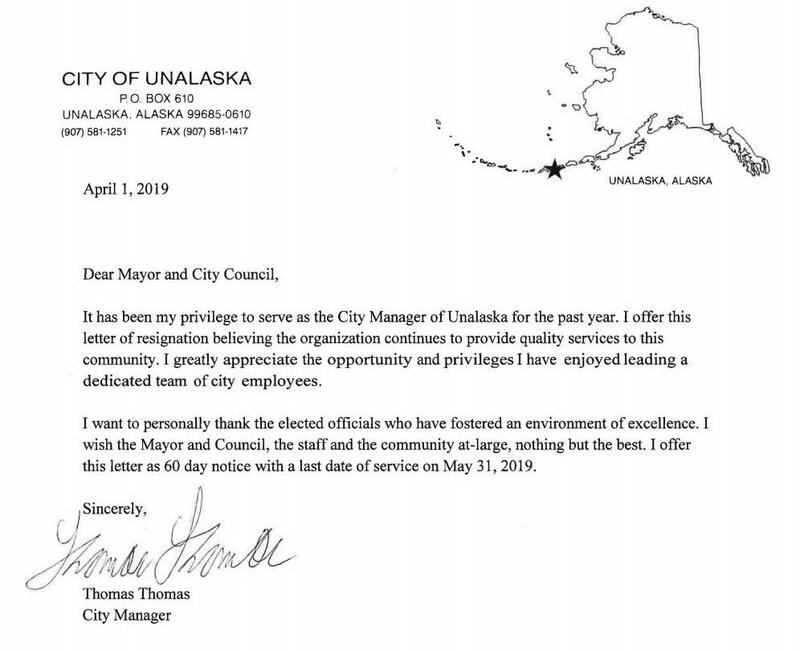 "It has been my privilege to serve as the City Manager of Unalaska for the past year," he wrote April 1 to Mayor Frank Kelty and the council. "I offer this letter of resignation believing the organization continues to provide quality services to this community. 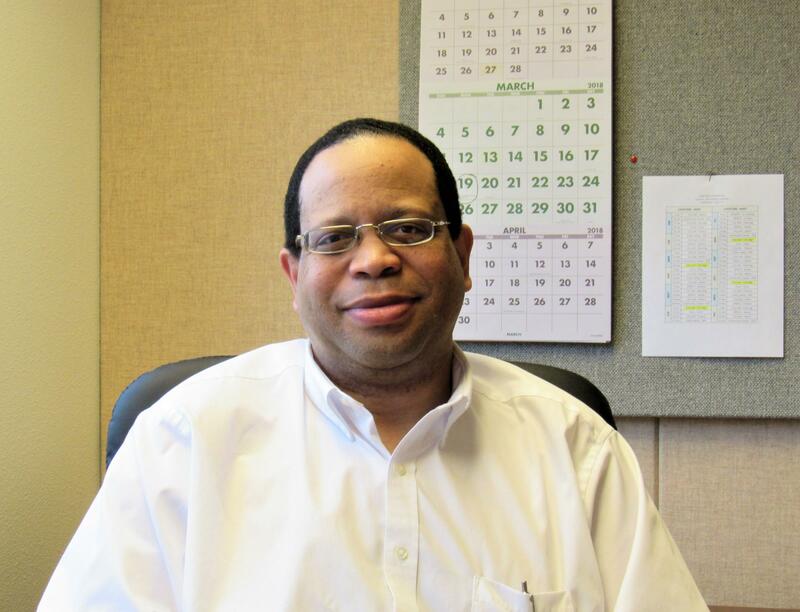 City Manager Thomas E. Thomas submitted his letter of resignation on April 1 — three days after councilors called a special session to discuss his contract and took no action. Thomas did not include a reason for his resignation in the letter, but he did offer to continue working through May 31 — a proposal the council is ready to accept, according to a resolution in the meeting's packet. "The Unalaska City Council desires to accept Mr. Thomas' resignation and formally approve Amendment No. 1 to the Employment Agreement," wrote Vice Mayor Dennis Robinson in proposed Resolution 2019-19. If approved, the amendment would provide Thomas with $20,000 in severance pay, as well as city housing and use of a city vehicle through June 15 — a more affordable package for the city than if the council were to terminate Thomas' contract without cause. If terminated with cause, his contract does not guarantee any severance pay. Councilors have made no public comments on Thomas' overall work performance since he started as city manager in March of 2018 with a salary of $170,000. They selected him for the job unanimously over three other finalists, including Assistant City Manager Erin Reinders. The City Council will meet Tuesday, April 9 for its next regular meeting. Councilors are scheduled to discuss Thomas' resignation in executive session before voting on his amended contract in public session. Thomas did not immediately respond to a request for comment.